11. How do you measure success and progress? We believe celebrating every step whether it is little or big. 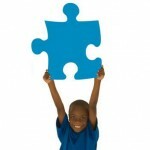 We understand often autistic individuals have uneven skills and learn differently. We will monitor and celebrate each client’s success. We evaluate and monitor progress on a daily bases. In addition, We do evaluations every 6 months to figure out how to best teach in collaboration with the family and other professionals as necessary.